One of the trends in Italian fashion at the moment is definitely the Chino jeans. These great looking jeans wear from the GAS brand in northern Italy come in stunning colours and fits, just launched on the market for Fall-Winter 2011/2012 collection, these Chino jeans are both comfortable and durable, perfect fit and an amazing attention to detail, look for a very “easy chic”. 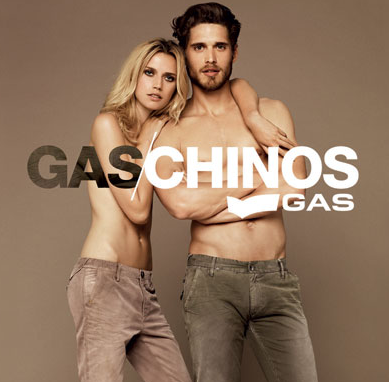 Thus was born GASCHINOS, an essential and versatile range of jean wear, the models on offer are both regular fit and antifit for women. Made of gabardine cotton, is presented with neutral colors and dusty, almost vintage-looking and aging pathes. The official site of Gas jeans is shop.gasjeans.com they deliver all around the world.